Wilber D. Watson was born June 30, 1936 to the late Will Rumph and Lee Ida Riley. She was called home to be with the Lord on January 18, 2019. 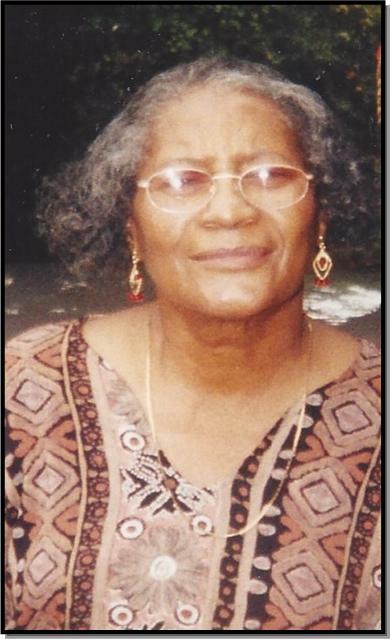 She was a faithful member of Philadelphia Baptist Church and served until she was no longer able to do so. She was preceded in death by her mother: Lee Ida Riley and father: Will Rump; her grandmother: Dora Hillsman; and her three sisters: Mordell, Juanita and Katherine. She leaves to forever cherish her memories, her only son: Kenneth Rumph (Sheila); seven grandchildren: Kenneth Thomas (Whitney), Fuquan Lide (Kim), Curtis Rumph (Marika), Elijah Rumph, LaKieta Lide, Juanita McGriff, Dornita Thomas; ten great-grandchildren; a special friend: James Mcleod and a host of family and friends.